I think you will probably agree with me. It’s REALLY hard to burn fat and lose weight. A proven weight loss supplement can make a huge difference. A good fat burner can help get you there faster and have an end result that will be better than you imagined. Combining a top fat burning supplement with a healthy diet and solid workout routine is a sure-fire way to success, fat burners can’t do the job alone. Increase energy levels for better workouts and more calorie burning. While diet and exercise are important, this article will focus on fat burners and how they can help you get your body tight faster as well as what ingredients we recommend and what to look out for. We will also cover the best fat burners on the market for women. Fat burners work by increasing your metabolism, this means you burn more calories throughout the day. 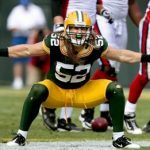 No matter if you are sitting on your computer or sleeping, you will be burning fat at a faster rate. This can be very effective in helping you lose weight faster and tighten up. Many fat burners also suppress your appetite so you eat less throughout the day. This will also help with those cravings you get that just drive you mad and make you want to stuff your face. This is generally most people’s downfall and being able to avoid these cravings and eating less each day will make a big difference. When you combine the higher metabolism and suppressed appetite you get a winning fat loss combination, your body will become a fat burning machine. 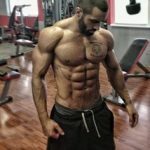 This combination is what makes fat burners so effective and can really help you lose those unwanted pounds you just can’t get rid of. 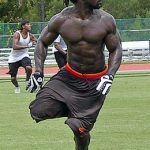 Fat burners have been around for a long time and over that time they have come a long way. Today’s fat burners are better than ever and use the most effective ingredients. However, they are not all the same. Luckily we have done the research to help clear things up and bring you the most effective fat burners for women. Some fat burners still use ingredients that are not natural and even dangerous. They have been known to cause insomnia, mood swings, high blood pressure and more. Ephedra – It is a very dangerous stimulant that works with the heart and nervous system. It has been banned in the USA. DMAE (Dimethylaminoethanol) – It is known for causing headaches, sleeplessness and muscle tension. DMAA (1,3-dimethylamylamine, methylhexanamine) – This one is banned in the USA but may be found elsewhere. It is known for narrowing the arteries and causing heart attacks which is definitely no good at all. Another one to look out for is Bitter Orange Extract, also known as Synephrine. 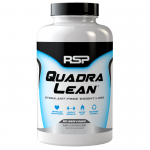 It has been considered safe in small doses but some companies tend to cast it as their main ingredient when it comes fat burners. A safe dosage is either 10 – 20mg three times a day, or 50mg once a day. Anything more than that should be avoided like the Bubonic Plague. If you have any heart, liver, kidney problems or any serious medical conditions we recommend staying away from fat burners. Always consult your Doctor if you are unsure. Generally, we recommend staying away from supplements that hide their formula in a proprietary blend. This is even more important with a supplement that contains stimulants, you need to know how much you will be taking each day. Proprietary blends are bundled ingredients in which the amounts of all the ingredients in the blend are stated as one combined number. This means it lists the ingredients, but not the amounts so you have no idea how much of each you are getting, this should be avoided as well. Leanbean is one of the only products we’ve seen that’s totally focused on women. 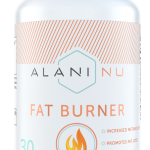 Now we have reviewed a couple of female-only fat burners before and not been that excited, however, Leanbean stands way above any of the others we’ve come across. That’s because the makers have worked out an ultra-effective formula for women and cleverly developed their product in a few key ways. Firstly, if you’re not already aware it’s a scientifically researched fact that women snack more than men. For that reason, Leanbean is packed with several effective appetite suppressants like Garcinia Cambogia, Glucomannan and Cayenne Pepper in order to really drive those cravings into the ground. Another benefit of Leanbean is that it includes good doses of Turmeric, Vitamin B6 and Vitamin B12. 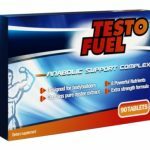 These are included to help female users fight off something called ‘Estro dominance’, this is where a build-up of Estrogen can cause more fat on the female body. 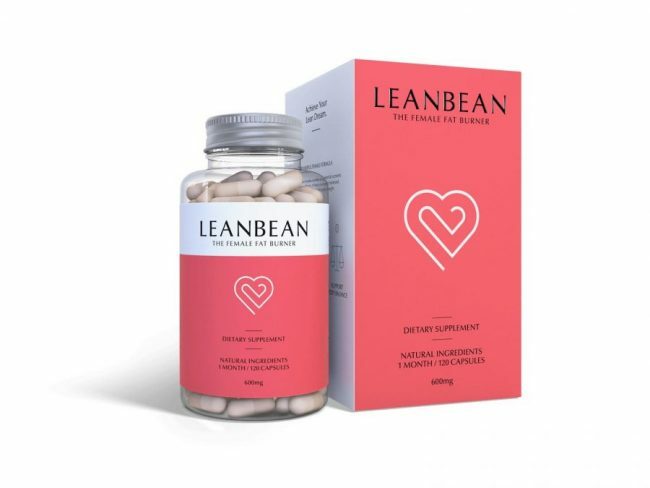 Like our other favorite fat burners, Leanbean has a really strong formula including the most effective ingredients around, it also has some very strong reviews to back it up. Finally, a female only fat burner that actually delivers! It’s got high-quality ingredients, a very smart formula and crucially the top-rated reviews you need to see. 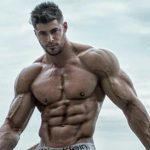 This new fat burner is definitely one of the more exciting supplements we’ve seen and whilst it isn’t the cheapest product Leanbean is still great value for money, that is why it tops our list. For more information, check out our complete Leanbean fat burner review. Instant Knockout comes in second on our list of fat burners for women because it has been formulated using the latest scientific research, contains the highest amount of proven ingredients and has received excellent reviews. Instant Knockout contains all natural ingredients which we love and it did is very effective at boosting energy levels. This one has a lot of great reviews and they are all true. What really brought this product to our attention was the ingredients. It has green tea extract, caffeine, and green bean extract to raise your metabolism throughout the day to burn fat even while you sleep. The Glucomannan works as an appetite reducer, helping to control those cravings. This will make dieting a lot easier. It also has Vitamin B6 which also aids in metabolism. It’s the perfect combination of everything you would want in a fat burner. This is why we chose it as one of the best fat burners for women. 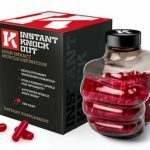 We really like Instant Knockout, it’s got some high-ranking reviews and most importantly – some awesome, but very safe ingredients. We love the natural stimulants and a natural appetite suppressant makes this a perfect product for any woman looking to burn fat safely. This one is about $10 cheaper than PhenQ so you may consider this if you want to save a few bucks. Next up on our list, we have PhenQ. This one is another really nice product that you should definitely consider. The reviews are really nice on this one and it is a proven winner as well. PhenQ actually works in several different ways. It works by increasing your metabolism and suppressing your appetite. It is also thermogenic which means it will increase your body temperature in order to increase your calorie burn. On top of that, it is also designed to block the production of new fat and improve mood. Taking a look at the ingredients it uses a good dose of Capsimax Powder which is a good thermogenic ingredient to raise the body temp causing you to burn more calories. It also has Calcium Carbonate which has been shown to increase the rate at which your body burns fat and also even inhibit the creation of new fat stores so you won’t gain any more weight. Also, they have a nice dose of Chromium Picolinate which is a good appetite suppressant to keep you from binging. PhenQ also has a moderate dose of caffeine which is good for a nice energy boost and an effective calorie burner. For appetite suppression, they also use Nopal which is a fibrous cactus that has been shown to reduce appetite as well as increase energy. Overall very solid ingredients. Overall this one also has really good reviews and the ingredients are solid. This one also features free shipping so that is a nice bonus. This is another one to strongly consider, it is the most expensive on the list but it also one of the most effective. Uses Capsimax Powder to increase thermogenesis and inhibit the storage of fat. 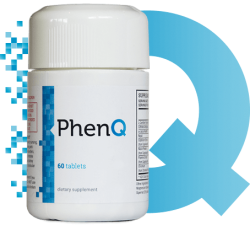 PhenQ has really good reviews and the ingredients are very solid. This one also features free shipping, as well as a money back guarantee if you are not satisfied so that is a nice bonus. This one is formulated a bit differently than the rest and it also has an ingredient that can inhibit the storage of fat so if that is an appealing aspect to you then this could be your choice. 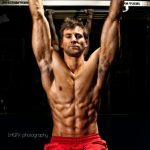 The PhysiqueSeries Fat Burner is another really awesome product that is new to the market and is making waves already. There are no proprietary blends, fillers, or additives with this one either, this fat burner uses high-quality ingredients that are proven. PhysiqueSeries Fat Burner features 500 mg of Forslean which has been shown to stimulate weight loss in women. It also has 400 mg of green tea for increased metabolism along with Cayenne Pepper Extract which has also been shown to burn fat. This one also contains a friendly dose of 5-HTP for appetite suppression. They covered all the bases when that made this product and it shows. This one is easily our second choice. The reviews are true, this product really nice. They also make a stimulant free version for those who are looking to stay away from stimulants or can’t tolerate them very well. It contains many of the same ingredients like Forslean, Cayenne Pepper Extract, and 5-HTP. The stim-free version also contains Acetyl L-Carnitine which plays a key role in fat metabolism. It doesn’t contain caffeine or any other stimulants but it still rocks. Whether you go regular or stim-free you are getting a solid product. It is also a bit cheaper than the first two so that is something to consider. Higher than average price but lower than the first two on the list. PhysiqueSeries Fat Burner and Stim-Free Fat Burner are very solid products that use top ingredients and have good reviews online. 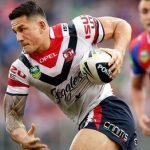 They come in fourth place and is a great alternative to the first two products especially if you would like a stimulant free fat burner which neither of the first two is. 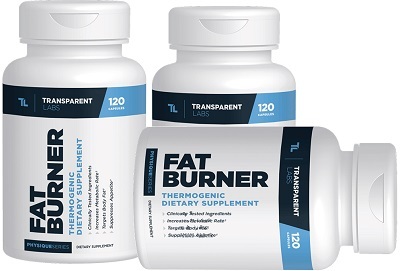 Website: transparentlabs.com/physiqueseries-fat-burner – Use the coupon code TL10 to get 10% off. 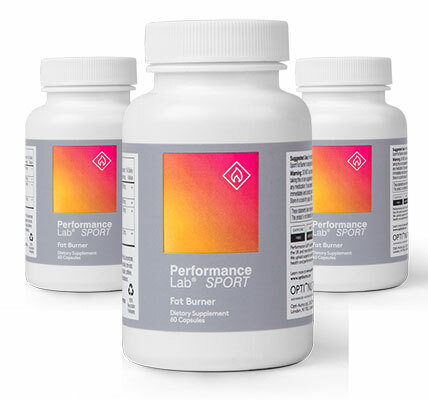 Next on our list of is SPORT Fat Burner by Performance Labs. 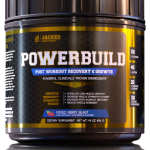 This one is another nice fat burner with high-quality ingredients that has also received some nice reviews. This one also has quality ingredients. 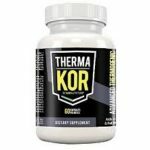 SPORT Fat Burner features 250 mg of Forslean which is a fat burner ingredient that is getting a lot of buzz lately for its ability to decrease body fat and increase lean body mass. That is a plus. It also has the cayenne pepper, black pepper and HMB, caffeine and green bean extract to give your metabolism a boost. It is a nice combination of fat burning ingredients that we really like and it doesn’t use caffeine. This one comes in at a solid fifth place. SPORT Fat Burner is another nice fat burner with good ingredients that are all natural. They use generous doses of effective ingredients that will help you break down stored fat and increase your metabolism. 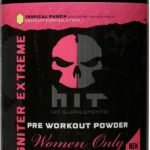 So, there you have the top five fat burners for women available on the market right now. We really like Leanbean as our top choice for women looking to burn fat quickly and effectively. They have the best ingredients and reviews and they earn our top spot. 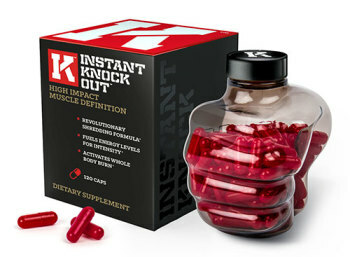 Instant Knockout is another solid choice that we have in second place. And remember, no fat burner will be effective unless it is also paired with a proper diet plan and a good workout program. They aren’t magic pills but if you put in the work they can be a big help.